Launching this month is another exciting pack from Nike, using some iconic silhouettes and using “Burnt Metal” metallic as its influence. The metallic trend always transcends seasons and Nike have used it as their main source of inspiration for this new “Burnt Metal” pack. 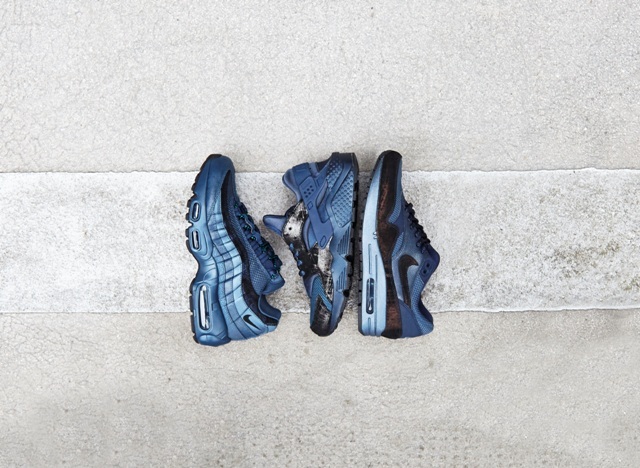 Featuring some the Air Max 95, Air Max 1 and Air Huarache, the collection adds a subtle lustre to an exclusive blue colourway. The metallic hi-sheen fabric adds a sporty shimmer for a premium finish and bring some luxe styling to these much loved styles. 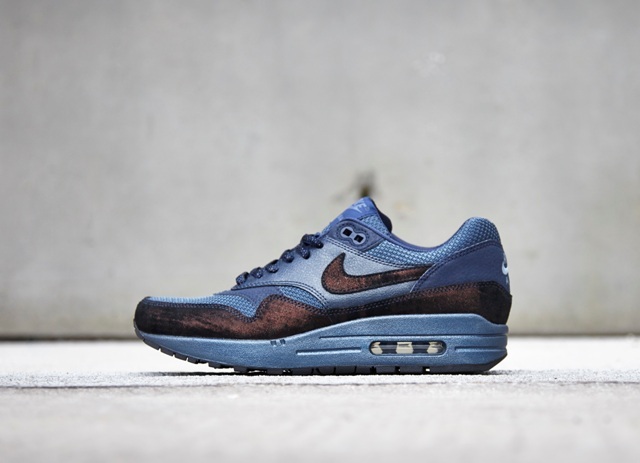 The Nike “Burnt Metal” pack in blue will launch online & in-store on the 23rd October, with 2 more colourways due to drop in the months after. Follow @offspringhq for more updates. POSTED IN: Nike by admin. Launching this Thursday is the second instalment of Nike‘s Look of the City collection, centred around a sweet scheme of desserts based on each city. 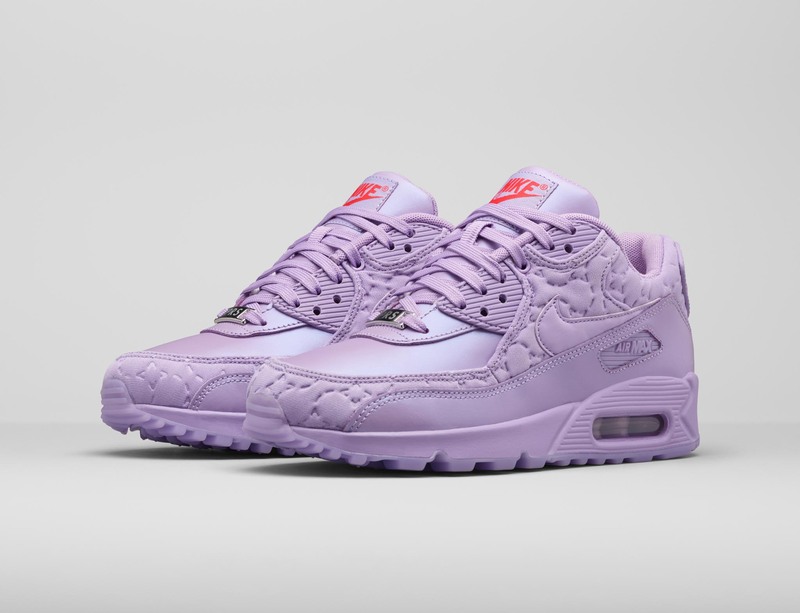 The “Dessert” pack showcases the classic Air Max 90 in 6 unique colourways with premium finishes, its hard to decide which one is our favourite. From London we have the English favourite, “Eton Mess”, featuring white meringue style tumbled leather uppers with strawberry and cream swirl effect panels and outsole. From Paris we have the much loved afternoon treat, the “Macaron”, in a delectable lavender colourway with a lustre finish and quilted panel detail. From Milan is the sunset colourway inspired by more of a drink than a dessert the “Aperitivo. 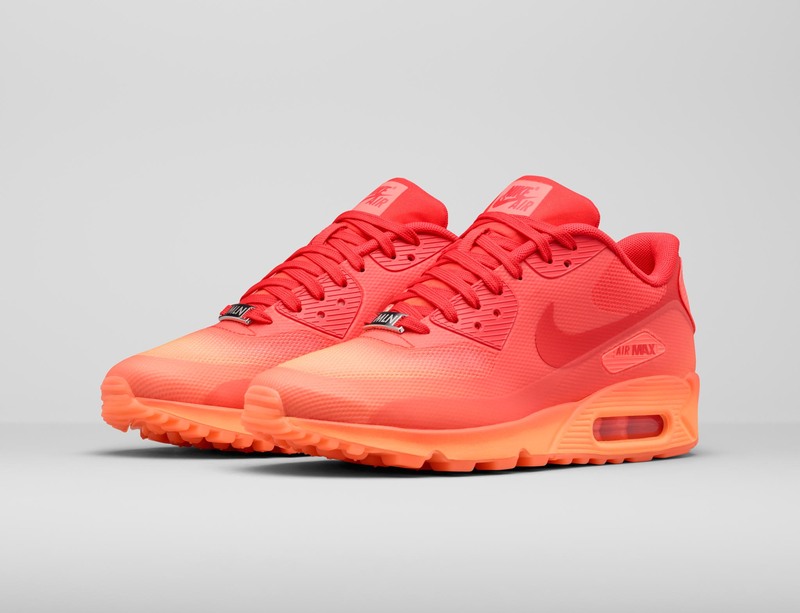 The HyperFuse upper has an ombre effect, going from red to a peachy shade. From New York we have the classic “Strawberry Cheesecake” which has a soft suede upper in shades of beige, red strawberry effect panels and a gum sole. From Shanghai we have the vibrant “Must Win Cake” featuring a bubblegum pink embossed, patterned upper and red detailing. Finally from Tokyo we have the futuristic “Harajuku Crepe”, little play on words here as “crepe” is, as we know, another word for sneaker. This style features a VacTech upper in pure white and cream with a gum outsole and black striped laces. The pack will launch online and in-store on Thursday 24th September. 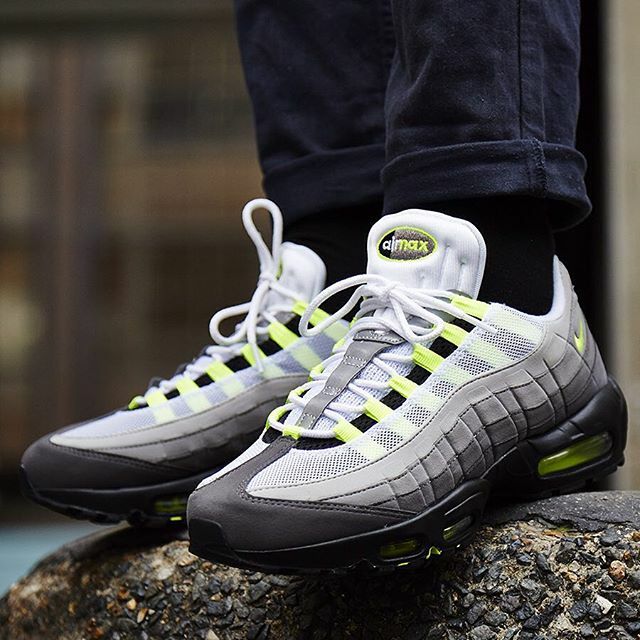 This year marks 20 years since the iconic Nike Air Max 95 was released, which quickly became a fashion symbol of the 90’s. This classic Nike trainer took sneaker design to a new level as the designer Sergio Lozano took the human body as his source of inspiration. 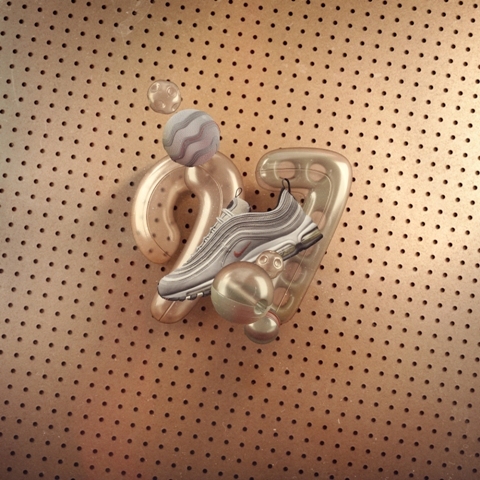 The silhouette used elements of the body as its template for the make up of the shoe. The midsole represented the spine, the graduated panels were the muscle fibres, the loop holes and straps were the ribs and the mesh was the skin. The OG colourway was presented in black, neon yellow and white and featured minimal Nike branding, with a small Swoosh on the outer heel. The neon yellow emphasised the 3 visible AirSole units and the technical appearance of the shoe gave the impression of a serious running trainer. Recently we saw the release of the Anniversary pack featuring the OG, Jacquard and Greedy colourways, released to celebrate this classic trainer and put it back on sneakerhead’s minds. 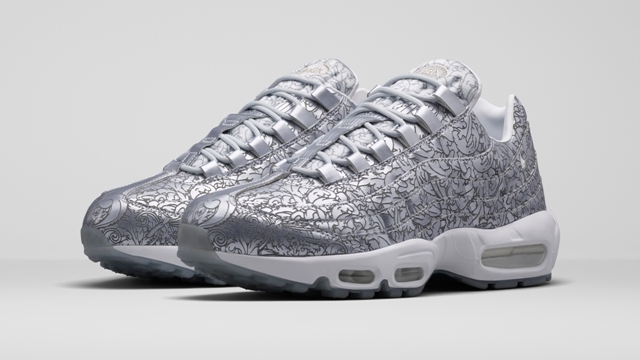 This Thursday sees the launch of the Air Max 95 “Pure Platinum”, which features a metallic silver upper etched with a laser cut design and icy blue features on the sole. It will be available to buy online here and in store on the 20th August. 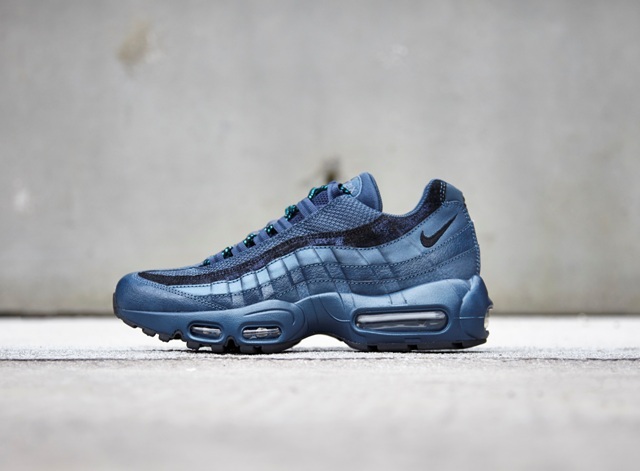 This year is definitely the year of the Air Max 95 and we can’t wait to see more releases of this old school classic. Following the success of LA Glow, the New York City pack is the second instalment from Nike’s “Tale of Two Cities” collection. Working with 5 iconic Nike silhouettes, the Air Huarache, Air Pegasus 83, Air Max 1, Air Force 1 Hi & Air Force ’07 PRM, the pack takes its inspiration from a wet New York street after an evening rain storm. Featuring a mostly black colourway, each Nike style has brushed, metallic silver effect panels, giving the illusion of glistening raindrops on a tarmac road. Launching tomorrow is the highly anticipated Nike L.A Glow pack, the first instalment from the “Tale of Two Cities” collection. 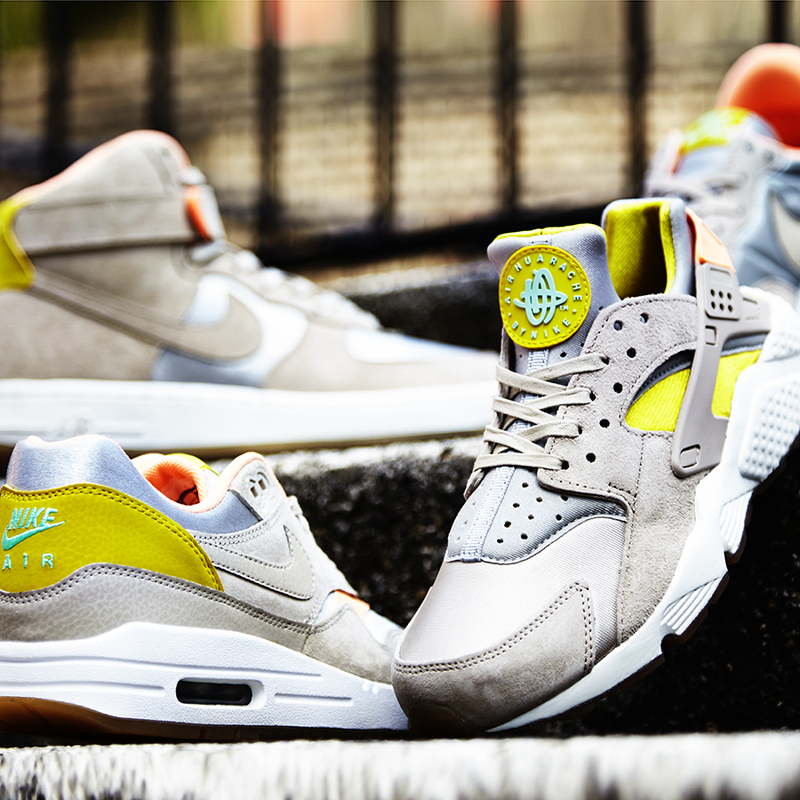 Featuring iconic styles, the Air Max 1, Air Huarache, Air Force 1 Hi, Air Force 1 ’07 PRM and Pegasus 83, the pack features a metallic, brushed silver and peach glow colourway. Inspired by the city of angels, the pack reflects that classic L.A, beachy vibe and is an ideal drop for summer weather. 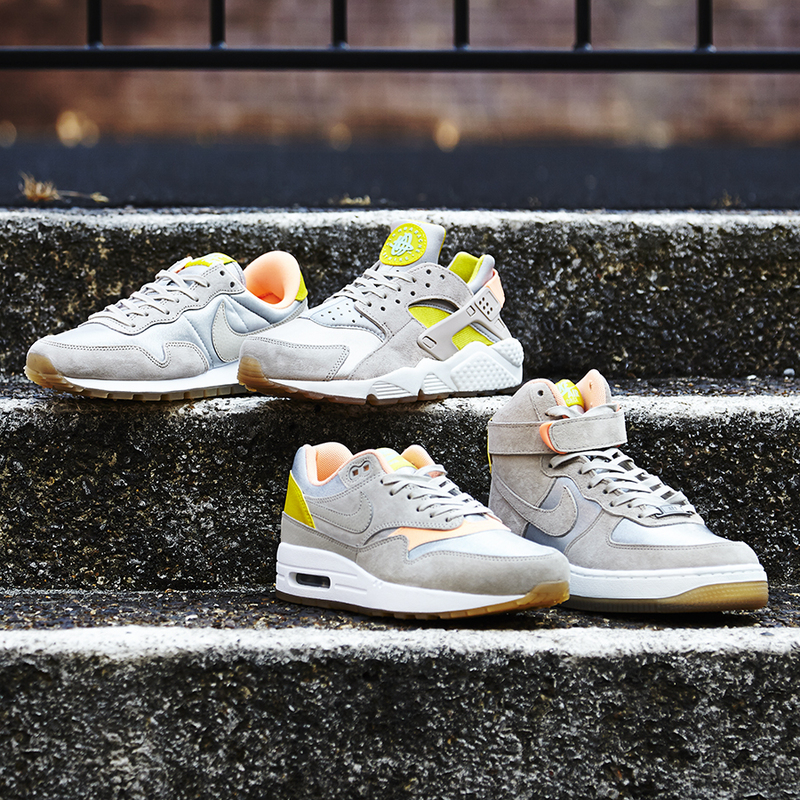 The Nike L.A Glow pack will launch online tomorrow. Last night we had the pleasure of attending the Nike STOP FOR AIR party to help celebrate #airmaxday. Not only was the venue incredible, the atmosphere was electric, with sneakerheads, tv personalities, rappers and sneaker fans a plenty! 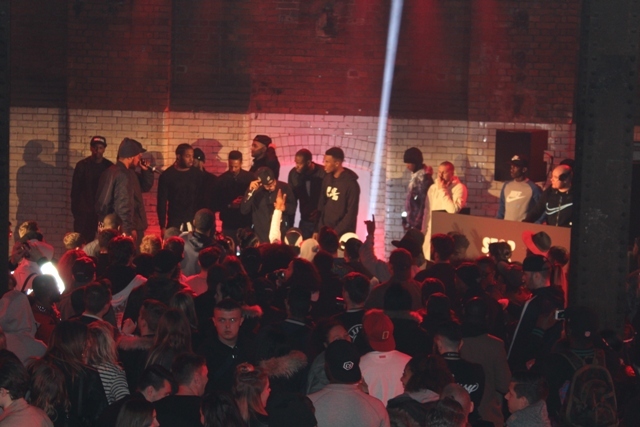 Music was provided by Siobhan Bell on the decks and big acts Skepta and Boy Better Know, the grime and hip hop lovers were in their element. 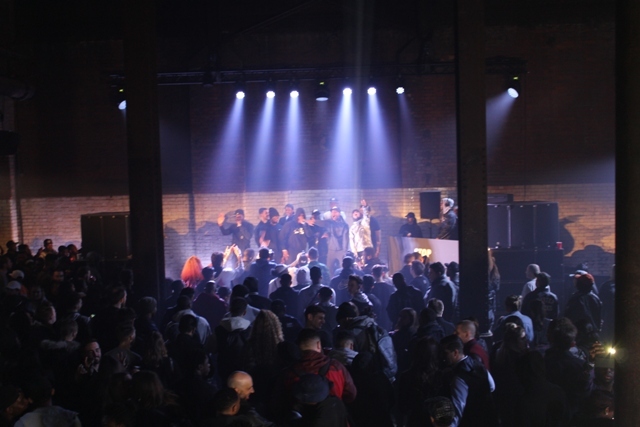 The event was held in Wapping Power Station which proved to be an amazing host. 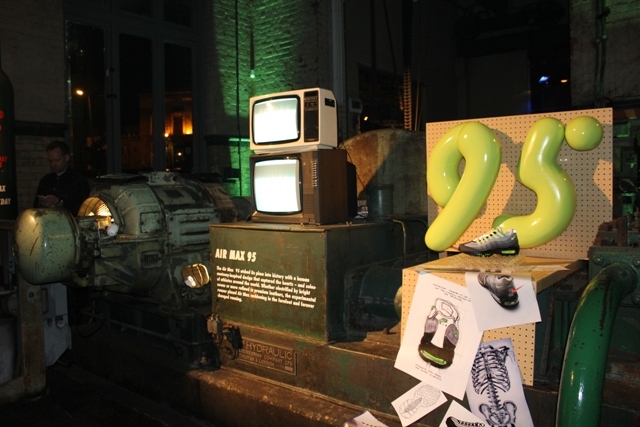 In amongst old machinery were Nike installations documenting the AIr Max timeline, starting with the Air Max 1 and ending with the prequel shoe, the Air Max Zero. 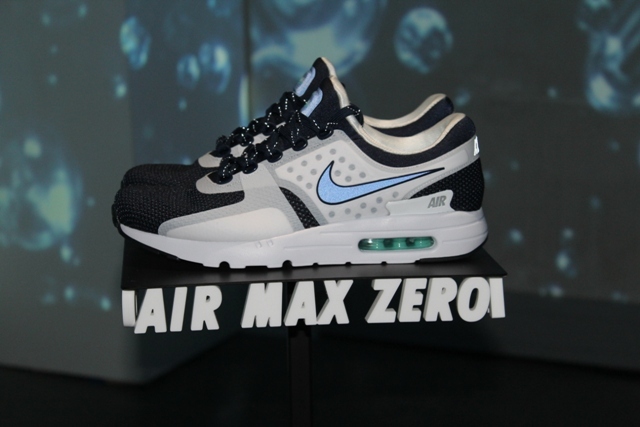 There was also a presentation room where the best of our very own OFFSPRING HQ Air Max were on display and competing against other sneaker stores, such as Size?, Foot Patrol and Sneakers ‘n’ Stuff. 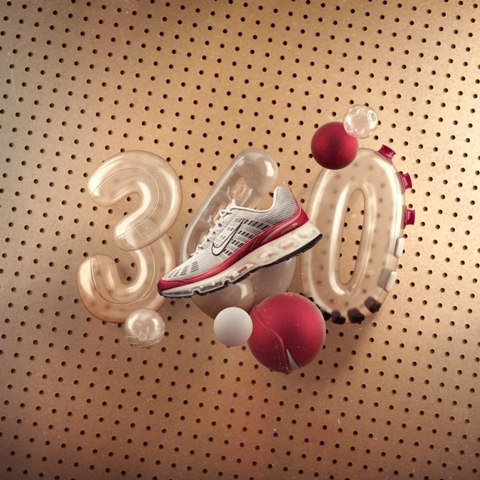 The biggest spectacle of the event was the incredible 360 degree camera, which captured the guests in their Air Max and creating some stand-out poses. If we are honest we could of played in there all night and it was by far the talk of the event. Great venue, great music, great food provided by Bird and great atmosphere, all in all we had a fantastic time and cannot wait until next year! Thanks for having us Nike! 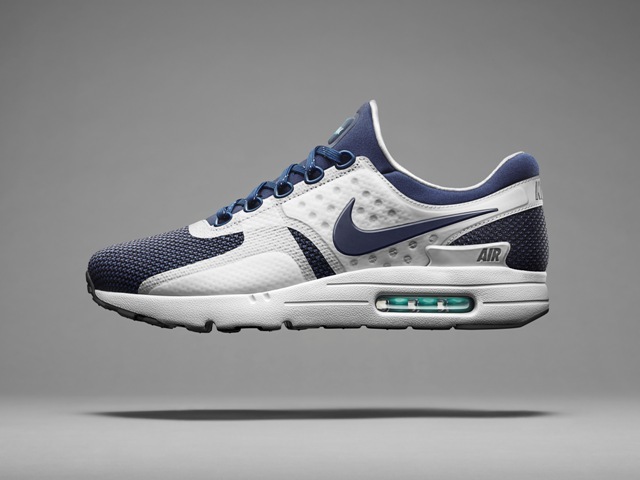 The One before the 1, the Nike Air Max Zero has been revealed just in time for Air Max Day on the 26th March 2015. 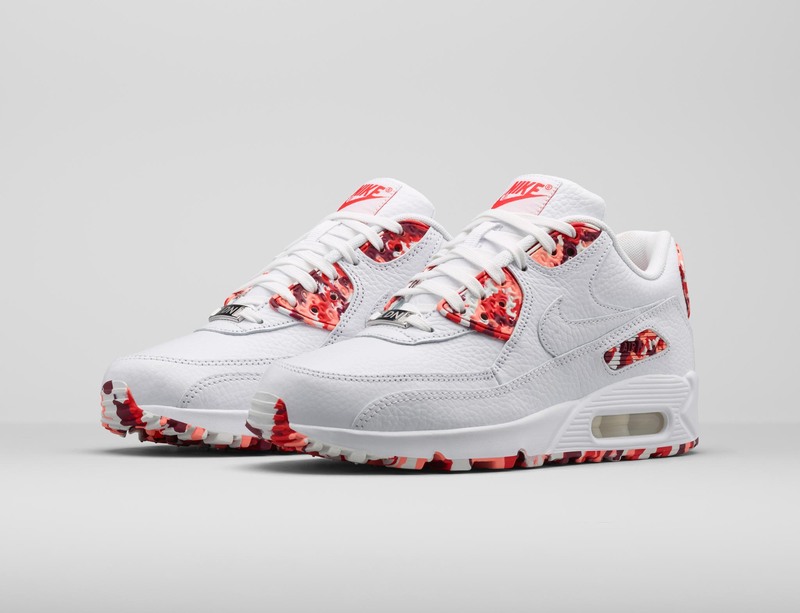 The story behind this much coveted Air Max Zero came about when Nike Design Director Graeme McMillan came upon an old sketch by legendary designer Tinker Hatfield that pre-dated Hatfield’s iconic Air Max 1 model. According to Hatfield, the sketch was literally ahead of its time: “Not just in regards to its appearance, but also in terms of the construction it required,”. The key detail of this unrealized trainer is the visible Air Unit that sits on the heel, for the upper Tinker used the Sock Racer technology and added support with an external strap that wraps around the heel. 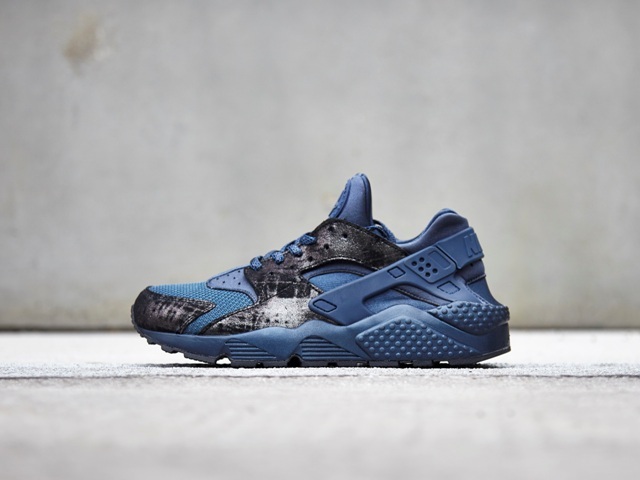 That design function would later come to power in the Air Huarache in 1991. 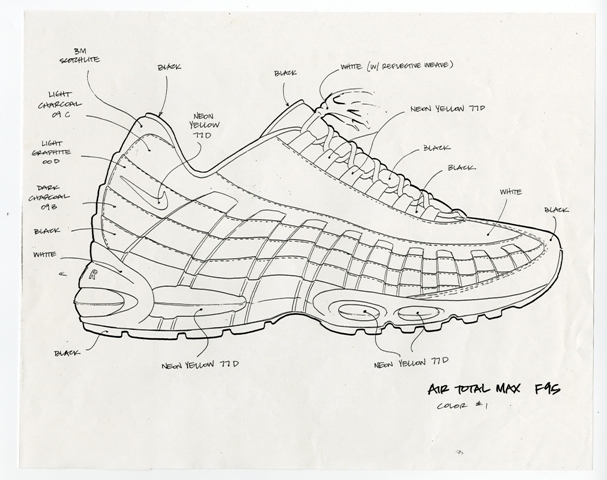 However at the time, the Nike thought the sketch to be too advanced, so Tinker was forced to reinterpret the inside-out concept that was inspired by the Centre Pompidou in Paris, France, and the result was the Air Max 1. The first of its kind, the Air Max 1 was originally released in this OG colourway in 1987 and some speculate that it should be called the Air Max 87 to mark the year of birth. 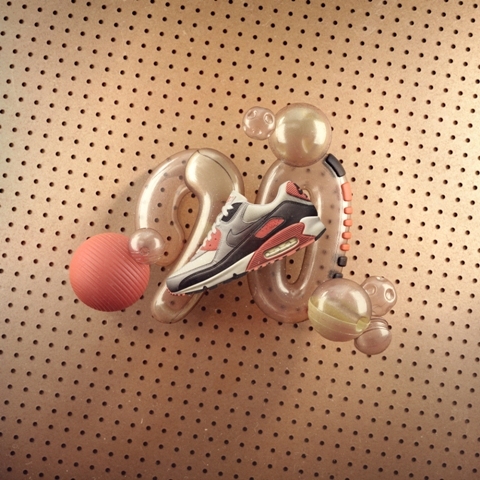 It was the first trainer to display the Air Cushioning through a small window in the sole and marked the beginning of an iconic technology that we still love to this day. 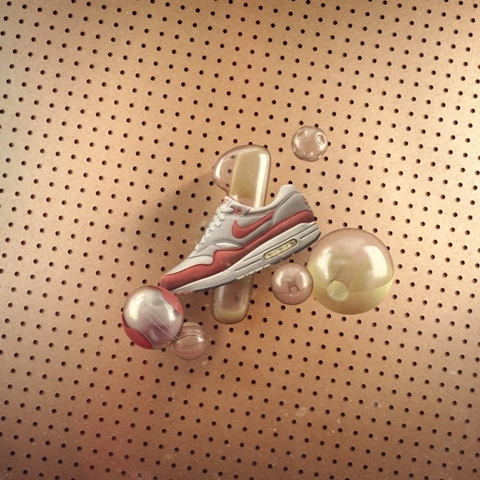 The evolution on the Air Max 1 saw the arrival of the larger than life Air Max 90, initially reffered to as the Air Max III until 2000. 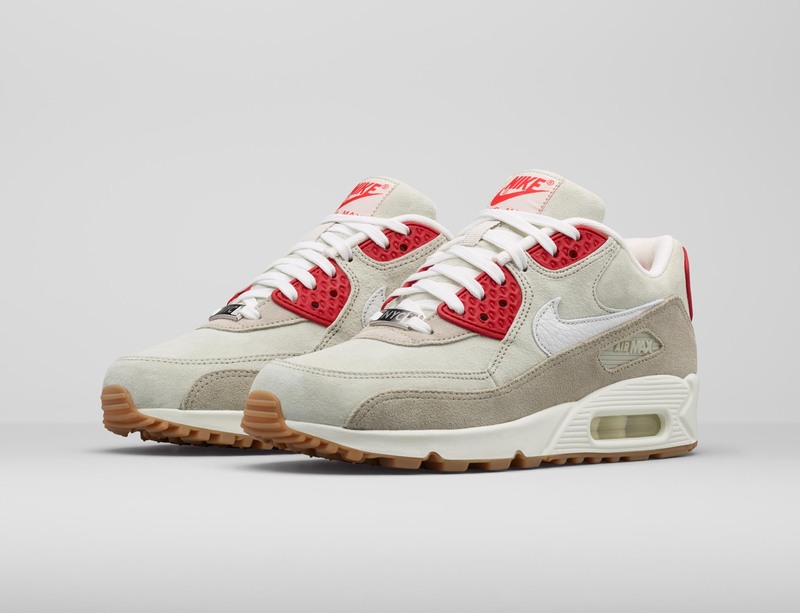 Originally released in the “Infrared” colourway, a colourway that is still favoured by many, the 90 had an exaggerated mid sole and thermoplastic strap technology. 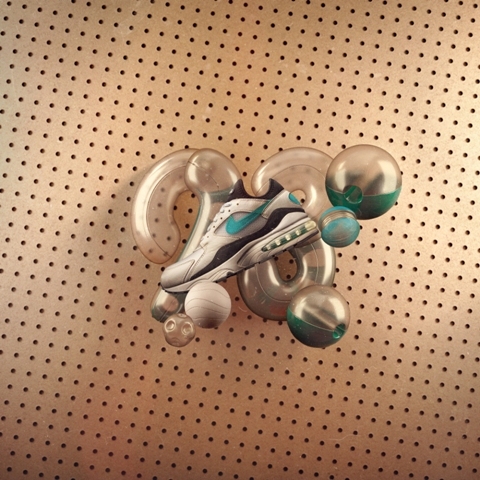 The most noticable feature of the Air Max 93 was the 270 degree exposed Air Sole unit, revealing more than it ever had. The sole unit contained more air and therefore greater protection and comfort. 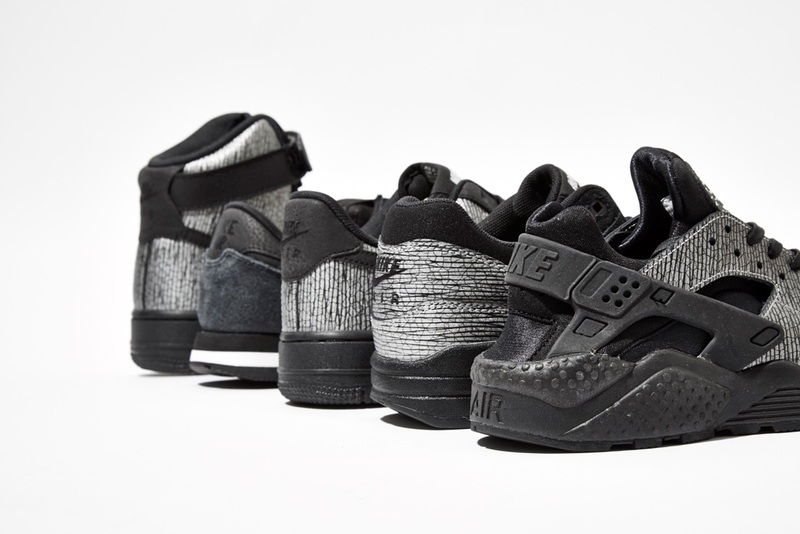 It was also the first model to have a coloured sole Air Sole unit and the upper featured a sock like fit, similar to the Air Huarache, released in 1991. 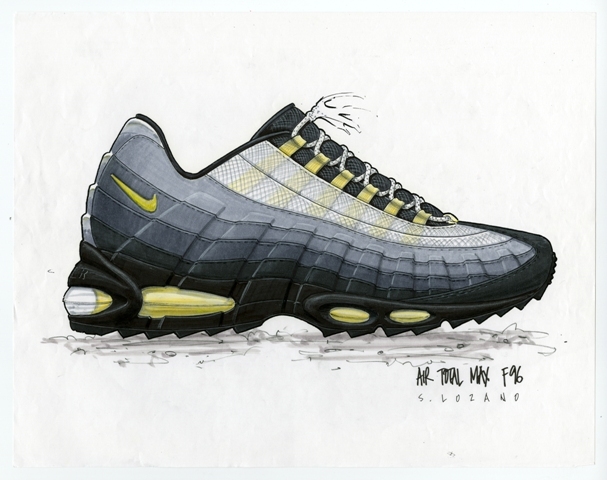 Nike designer Sergio Lozano drew inspiration from the human body for the Air Max 95, with the midsole representing the spine, the panels being the muscle fibres, the loopholes the ribs and the mesh is the skin. 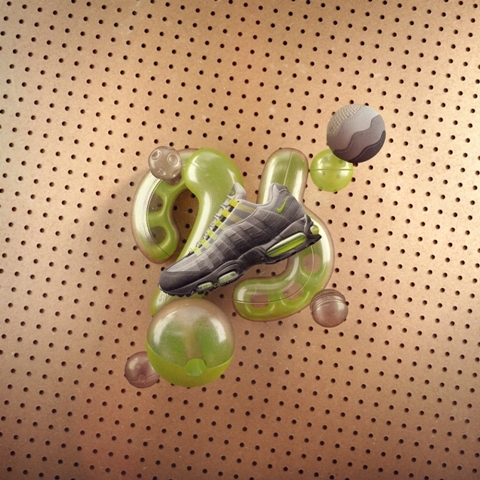 The Air Max 95 featured minimal branding with just a small Swoosh to the side heel and added more visible Air Sole units to the toe and heel. A model that looked like it was designed by NASA, the Air Max 97 was in fact inspired by the high speed Japanese Bullet Train. The sleek design and metallic silver colourway combined with the 3M reflective panels on the upper provided a space like appearance and the shoe feattured a fully visible Air Sole unit. 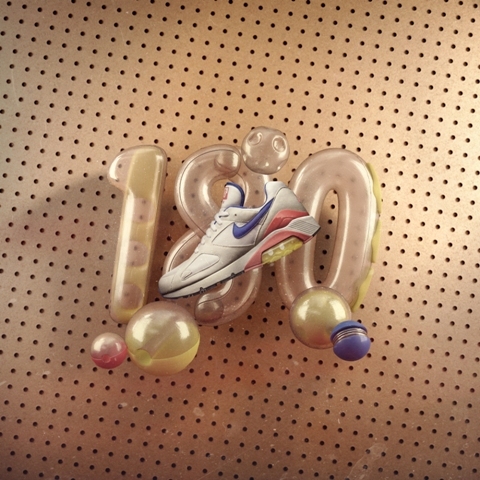 An undderated classic, the Air Max 180 contained 50% more air than previous models and the Air Sole unit was now visible through a protected outsole underneath the trainer. A stripped down and minimalist style, the Air Max 2003 featured a perforated, slick upper for breath-ability and a fully visible Air Sole unit. 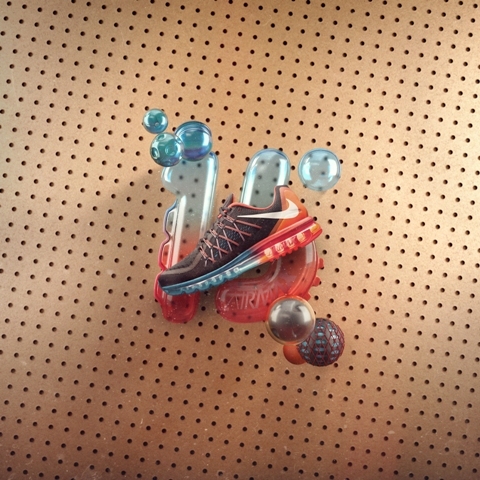 Released in 2006, the Air Max 360 offered athletes the smoothest and most durable ride ever created, thanks to an Air component that is visible from every angle. The Air Max 360 shoe allows an even greater focus on providing the ultimate comfort and performance and has no foam, no midsole – just Air. 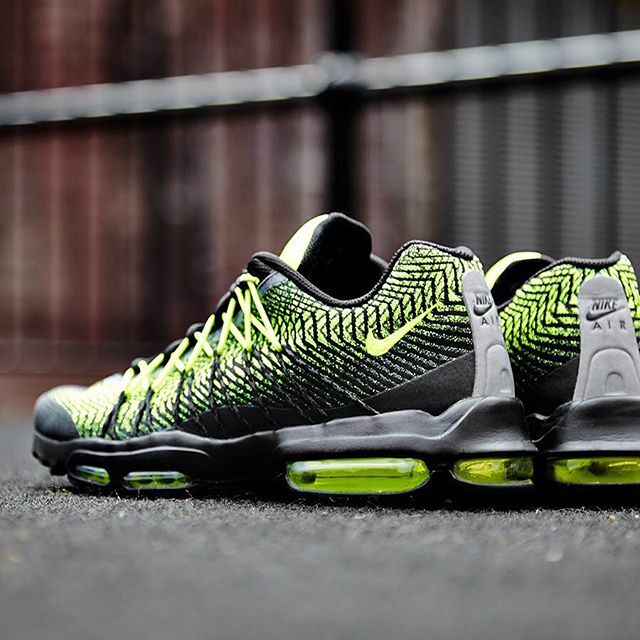 The Air Max 2015 maintains the full length Air Sole unit like its predecessors, adding Dynamic Flywire technology for a more supportive fit. The mesh upper provides a breathable and lightweight run and the internal sock like bootie makes for a perfect fit. With more colourways and models coming out of the Air Max family, the heritage sneaker style keeps us guessing every month of every year. Built around the idea that “more is more,” the Nike Air Max 90 defined an era of excess and bigger-than-life personalities. 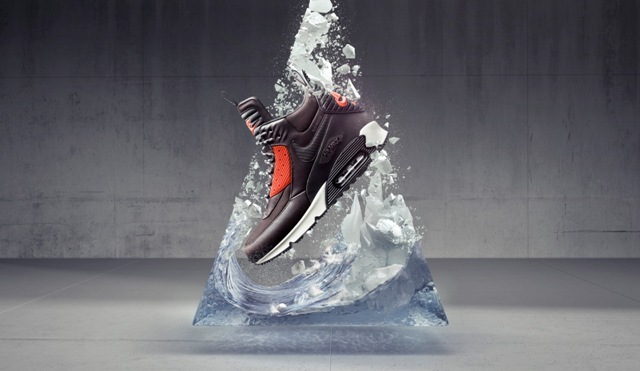 In the past, dreadful weather confined the Air Max 90 to the wardrobe, but now the SneakerBoot version breaks that boundary. Yun then ruminated on the core characteristics of Nike SneakerBoots: timeless Nike footwear styles, lightweight functionality and rugged resistance to the elements. 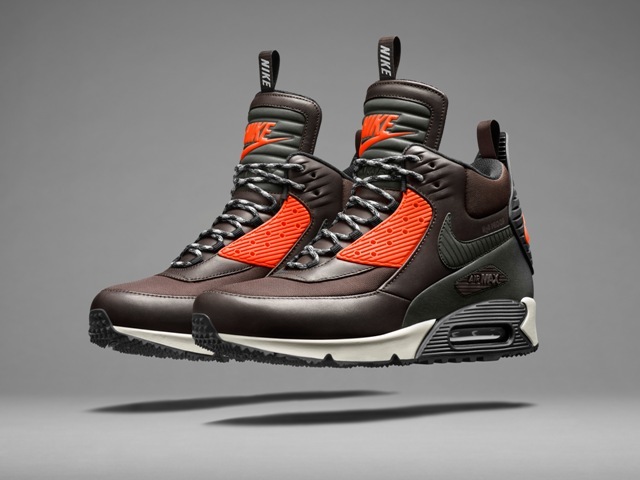 After honing the aesthetics of the Air Max 90 SneakerBoot, Yun then addressed functionality. 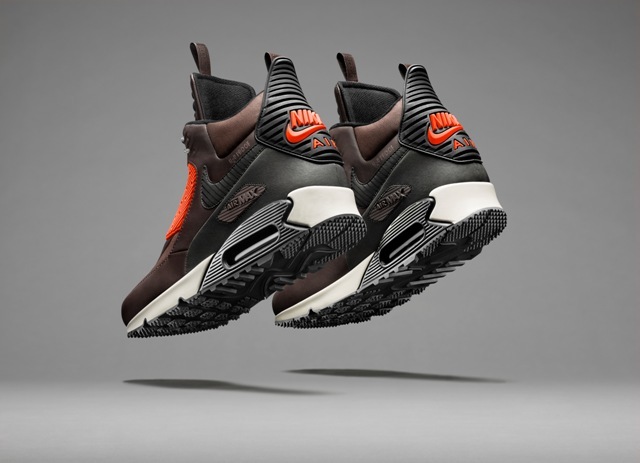 The fully lined, gusseted, and waterproof upper combines with a reflective Swoosh logo, tongue, and quarter panels, as well as an aggressive outsole pattern to make the Air Max 90 SneakerBoot winter’s worst nightmare. 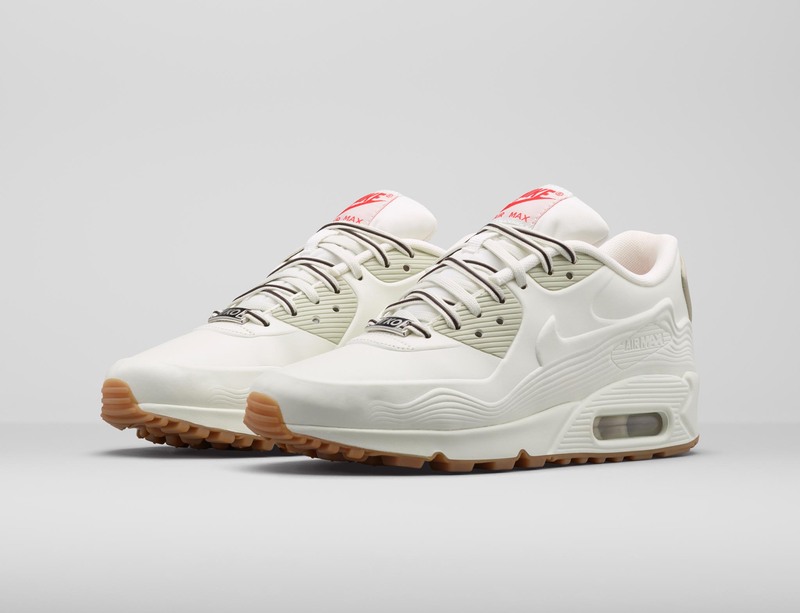 Other details include oversized eyestays and heel-tabs, and the classic Air Max 90 midsole design that preserves the original DNA that makes the Air Max 90 SneakerBoot unmistakably Air Max. 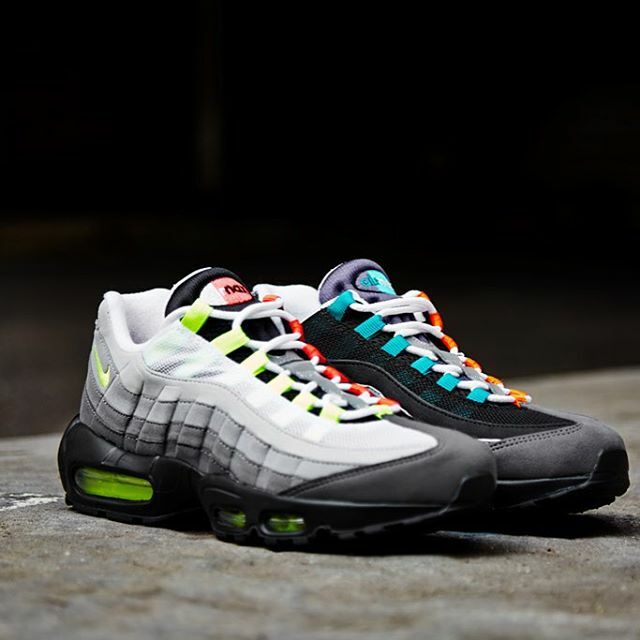 It has been over 20 years since Tinker Hatfield created the Nike Air Max 93 and this retro style is back with the “OG” pack, sporting the original “Citrus” and ” Menthol” colourways. Keeping true to the original design, the Air Max 93 features a white leather and mesh upper with the classic bright 90’s colours on selected panels. 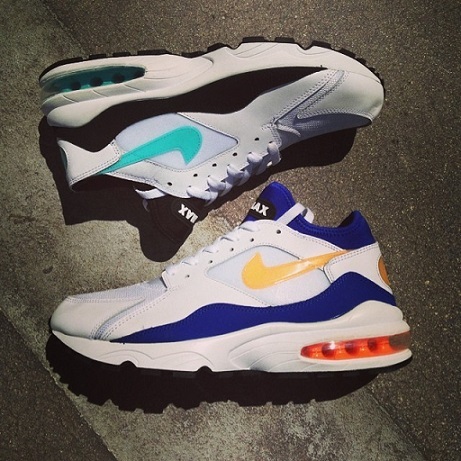 With a neoprene sock like fit, reminiscent of the Huarache and Mowabb, the Air Max 93 was the first to feature a blow moulded cushioned sole with all around visible Air Unit, dubbed the ‘bubble’. Coming soon to all Offspring stores and online here. March 26, 1987 saw the release of one of Nike’s most iconic trainers, the Air Max 1. 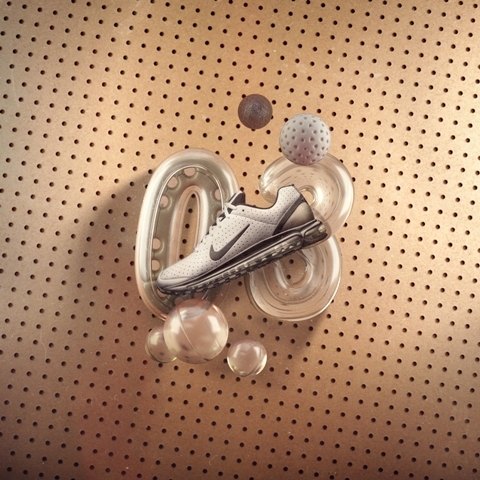 This revolutionary shoe featured the first visible Air cushioning in the sole and changed how Nike developed running trainers. With suede and nylon mesh uppers and the iconic Swoosh at the side, the Air Max 1 held on to the classic Nike aesthetic but took a huge contemporary step with its visible technology. 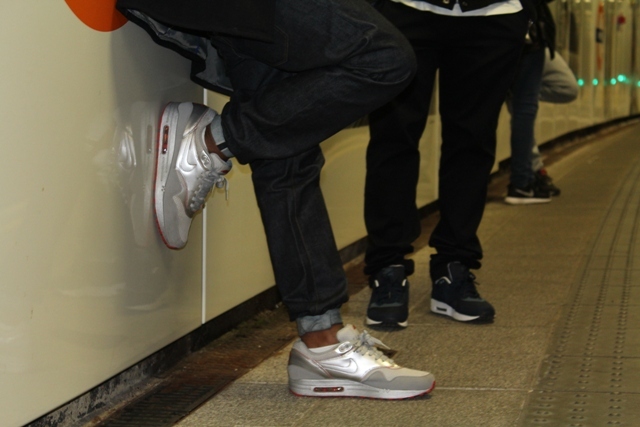 27 years have passed and we have seen the Air Max incorporated in many Nike styles, mixing with a variety of colourways, materials and newer Nike technology, such as Hyperfuse and Lunar. 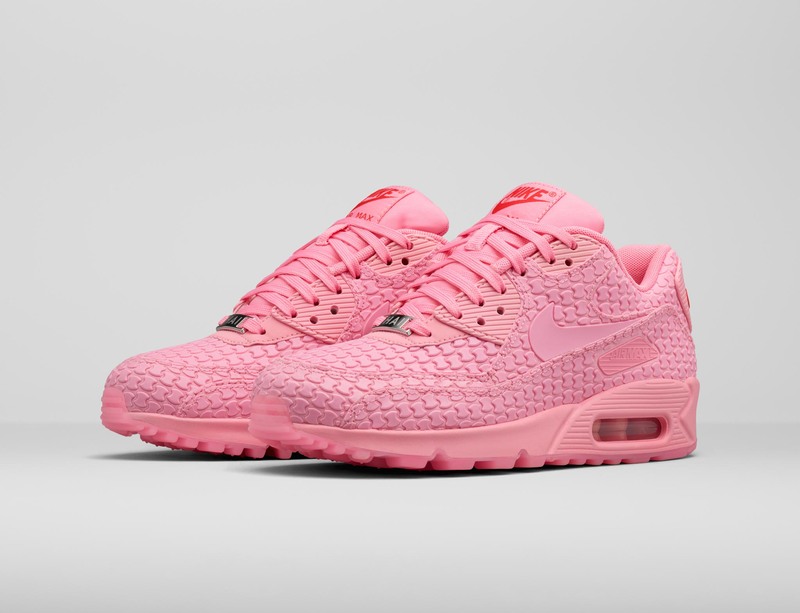 In celebration of nearly 3 decades of Air soles, Nike are declaring March 26th “Air Max Day”, encouraging Nike fans to wear their favourite Air Max trainers and share with the world via social media. 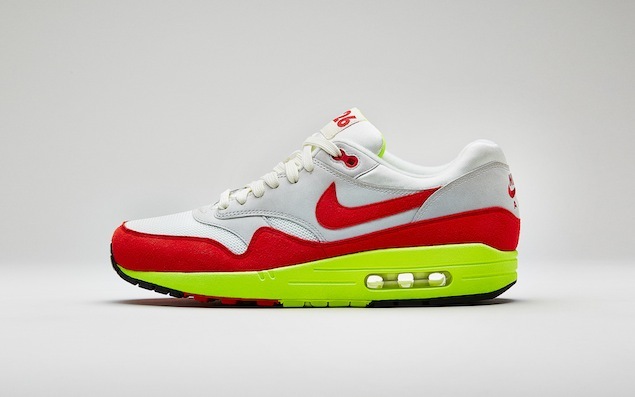 To coincide with the marking of “Air Max Day”, Nike are launching a limited edition Air Max 1 that features the OG ‘University Red’ colourway with a bright Volt yellow sole, fusing the past and the present. 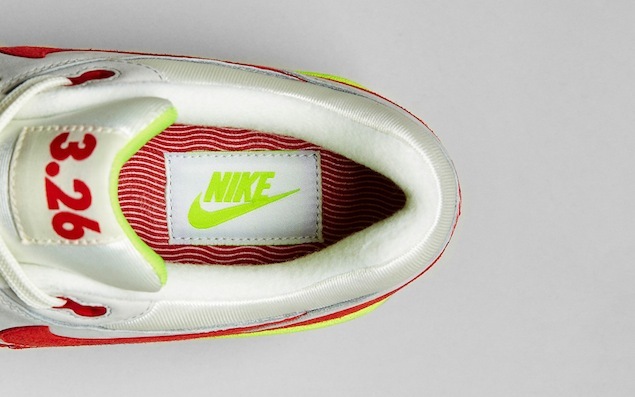 The trainer is finally topped off with ‘3.26’ detail on the tongue to mark this Swoosh sanctioned holiday. The Quickstrike Air Max 1 “Air Max Day” is currently sold out on our website but still available in Offspring stores, check your local store for availability. 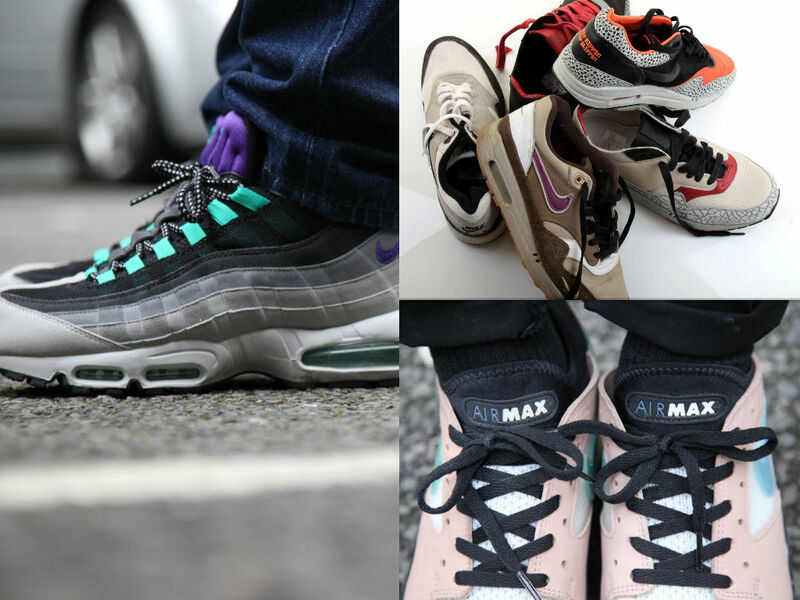 Here are a handful of favourite Air Max’s from some of the team at Offspring HQ, so make sure that like us you wear your favourite Air Max’s and post them on Facebook, Twitter (@offspringshoes) or Instagram and use the hashtag #OFFSPRINGAMDay so we can all join in with the celebration of one of the best Nike trainers of all time.